Los angeles : Italy was on the verge of collapse after another most powerful earthquake in 36 years rattled the central city on Monday flattening a world famous 600-year-old Basilica of Saint Benedict. The 6.6 magnitude quake on Richter scale stuck the country's mountainous centre panicking shell-shocked residents for the third time in two months. 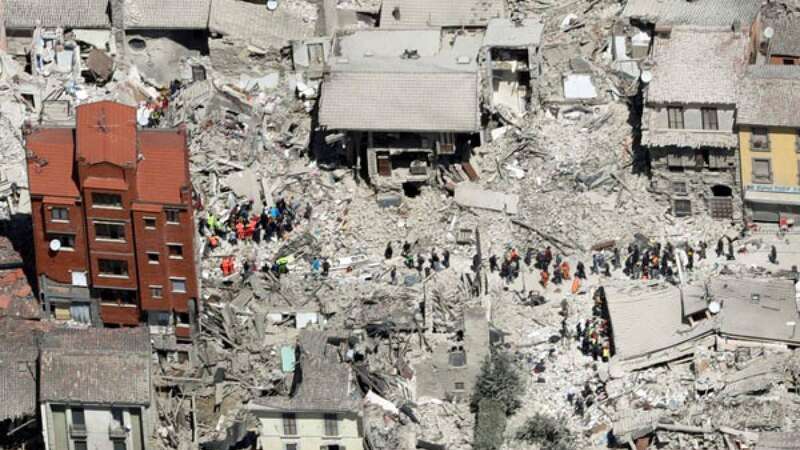 Reports hold that it was Italy's biggest quake since a 6.9-magnitude one struck the south of the country in 1980, leaving 3,000 people dead. More than 50 powerful aftershocks rumbled throughout the day, some 15 of them between magnitude 4 and 5. Thankfully, no one was reported injured but nearly 3,000 people were left temporarily homeless. According to the national civil protection agency, "As far as people are concerned, the situation is positive but many buildings are in a critical state in historic centres and there are problems with electricity and water supplies." The shocks were first felt at 7:40 am (0640 GMT) near Norcia in the region of Umbria. Shocks were felt in the capital Rome and even in Venice, 300 kilometres (200 miles) away. Residents of Norcia have been barred from returning to their homes while hundreds have been transported by bus to nearby Lake Trasimeno. Police has even provided temporary accommodation in hotels and gymnasiums. Prime Minister Matteo Renzi said, "We are going through a really tough period."